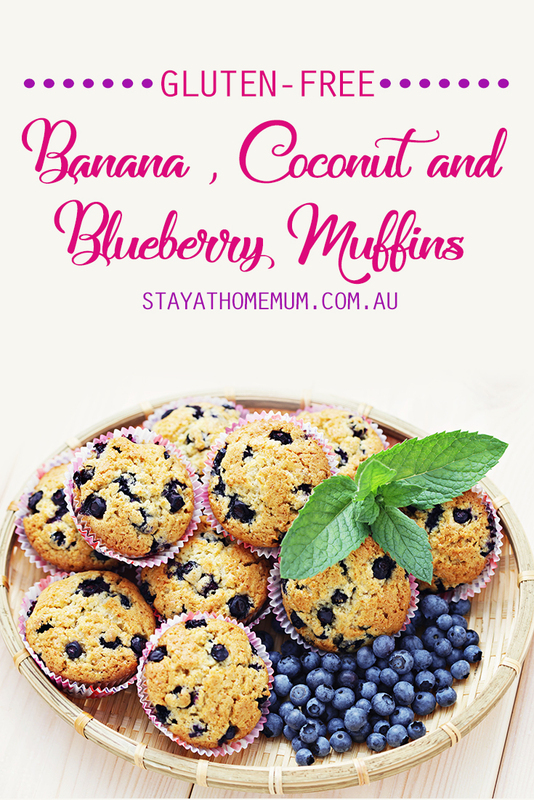 We’re always on the look out for new muffin recipes around here, especially ones that are as delicious and healthy like these Gluten-Free Banana, Coconut and Blueberry Muffins. These were submitted by one of our lovely readers, and are a hit at morning teas and with kids, especially those who are on gluten-free diets. Although there is a bit of natural sugar in these yummy snacks, the maple syrup can easily be removed or swapped out with stevia if you’re looking to really make them guilt free. Prep a 12-hole muffin pan by either greasing it with butter/coconut oil or laying the pan with muffin cups. After doing this pre-heat your oven to 180 degrees. In one bowl mix together the dry ingredients, being the almond meal, coconut, baking powder and salt. In another combine the wet ingredients, being careful not to over mix the egg or the mix can become rubbery. Gently fold the wet ingredients into the dry ingredients until well combined. Pour into the prepared muffin pan, being sure to leave some space for the muffins to rise slightly. Pop into the oven and cook for 25-30 minutes.